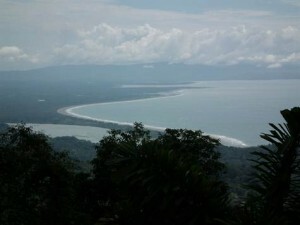 Many people come to Costa Rica on vacation and then realize that they want to live here. The pace of life is much slower than the North American lifestyle that many of them are used to living. Your money will go a lot further here and for the same price as a 1 bedroom condo in many major cities, you can buy an ocean view farm!! There are many farms for sale in Costa Rica, especially here on the Southern Pacific Coast in the areas of Dominical and Uvita! For a very reasonable amount of money you can own acreage with ocean and mountain views, open pasture, jungle, rivers, creeks, and springs. Many people actually move to the area because it is so easy to be self sustainable. You can grow your own food all year and with the abundance of fresh water and warm weather farming is easy. Ocean View Farm Minutes From The Highway With Creek and Spring!!! One of our featured listings is this 102 acre farm in Uvita which is listed for $750,000. 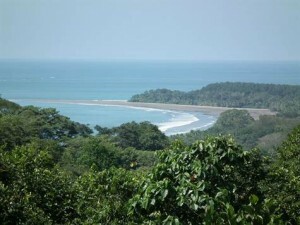 This property is only minutes from the paved coastal highway and from the beaches. It has many ocean view building sites and is perfect for a self sustainable community. It could also be purchased and segregated into lots and sold as a development. Another one of our featured listings is a 253 acre farm also in the mountains above Uvita. This really is a one of a kind nature lovers paradise. Of all of the farms for sale in Costa Rica, this is one of the best. This property is at the end of the road and in almost all primary old growth forest. It has waterfalls and ocean views and all of the wildlife you can possibly imagine. It is listed for $549,000 and is perfect for a private estate, an eco resort, or a retreat center. Posted in News and tagged Costa Rica land, retire to costa rica, Southern Zone.